We know how vital your car is to your everyday life. It transports you where you need to be, gives you freedom and mobility and on some level, represents an extension of who you are. 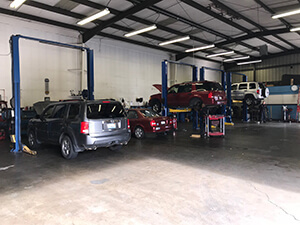 To keep your vehicle running properly and to ensure the safety of you and your passengers, it's crucial that you bring your car in for routine maintenance. Don’t trust the care of your vehicle to amateurs. Bring it in to Superior Auto Clinic for quality repairs you can trust. Whatever the problem is, the experts at Superior Auto Clinic will diagnose it, repair it and get you back on the road!